Welcome to the Navajo Nation Zoo! The Navajo Nation Zoo the only Native American owned-and-operated Zoo in the U.S., and is deemed “A Sanctuary for Nature and the Spirit.” We offer visitors a quiet place to reflect, and a unique opportunity to connect with over 50 animal species native to the Navajo Nation and the Southwest. 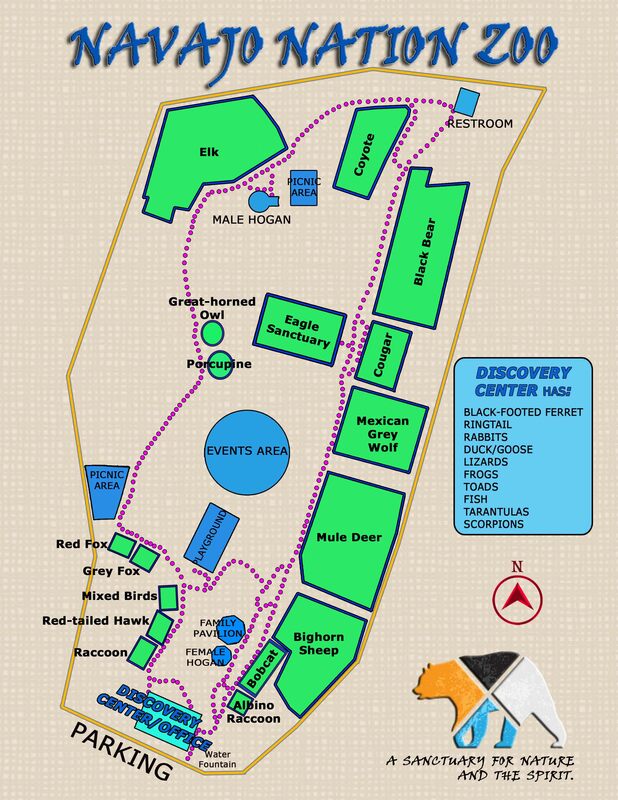 The Navajo Zoo has over 100 animals representing just over 50 species. All of these animals are on permanent display for our visitors’ enjoyment. The Navajo Nation Zoo and Botanical Park is the only Native American owned-and-operated Zoo in the Country. We are located in the capital city of the Navajo Nation, Window Rock, Arizona within a Tribally-designated park. We receive over 50,000 visitors each year. The NAVAJO NATION opened its GOLDEN EAGLE SANCTUARY AND EDUCATION CENTER on July 1, 2016. This Sanctuary is located within the Navajo Zoo and is open to the public for viewing these majestic birds-of-prey. The Navajo Nation Zoo is Tribally-funded through the Navajo Nation Government, but outside assistance really does help us to provide better services and an improved facility for our visitors. Admission is ALWAYS FREE...for EVERYONE ! !